The founder of Rocksbox, Meaghan Rose, created the membership because she loved accessories but didn’t love spending money on them only to wear them a couple of times before they collected dust and took up space in her closet. It also serves as a way to test-drive different jewelry styles you aren’t sure you’d like/wear often. 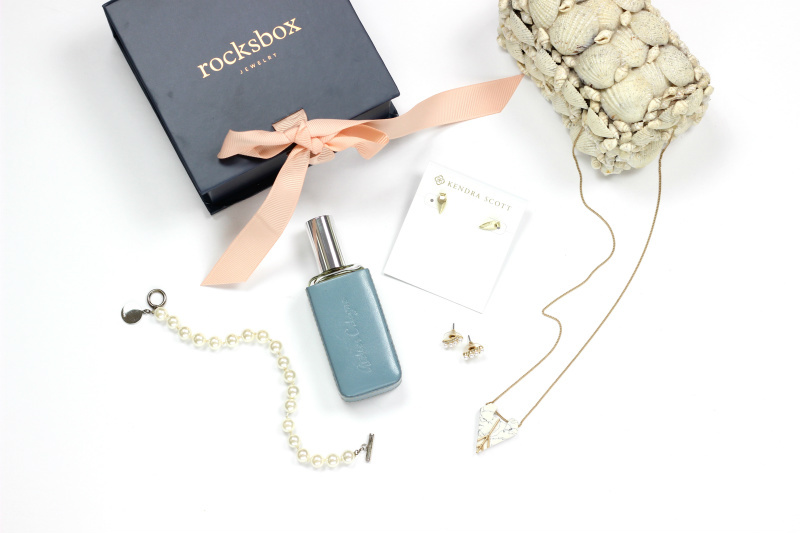 When you first go to Rocksbox.com and sign up for the membership (which costs $19/month), you’ll want to create a personal Wish List of items currently in the Rocksbox collection that fit your style. Add at least 30 pieces that catch your eye. Within a few days, your personal stylist will select three pieces and you’ll get a shipping notification that the jewelry is en route (some may even be specifically from your wish list). It will arrive in the cutest packaging with a prepaid return label when you’re ready to switch it up. Wear the pieces together, on their own or mix with stuff you already have. You can return the box every week if you’d like (or wear the pieces all month long) and keep getting new pieces to test-drive and enjoy. No matter if you keep the box for a week or the whole month, your membership still only costs $19/month. If you happen to LOVE the pieces you get, there are special membership rates so you’re not paying full price on the jewelry. If you love all three pieces in your box, you get an additional $10 off the total. Basically, Rocksbox reminds me of a mix of RentTheRunway.com (it’s rented) and StitchFix.com (personalized to your style and if you like the items, you can purchase at a discount). As mentioned, I’m not a huge clothes girl. I’ll blow $50+ on an eyeshadow palette with no hesitation, but ask me to buy a top for $50 and I cringe a little. Wearing nice accessories allows me to look stylish while rocking my $10 Target t-shirts. While I’m in the process of refreshing my wardrobe and refining my fashion sense, I decided I like more delicate pieces. I tend to wear stud earrings daily, lightweight, larger earrings for special occasions, and I like to mix metals. I also like items that are slightly edgy. While I’m giving away my statement pieces I used to wear, Rocksbox is allowing me to still have cute accessories that better fit my style. As you can see in the pics, my first Rocksbox has two sets of stud earrings and a necklace. My favorite is definitely the marble stone pendant necklace by Slate ($59 retail; $50 Rocksbox pricing). The ear climber earrings are by Perry Street ($29 retail; $24 Rocksbox) and I have worn these the most because I like that they’re unique. The gold studs are by Kendra Scott ($45 retail; $38 Rocksbox) but they are quite tiny, so I haven’t worn them as much. If I bought all three of these pieces retail, I’d spend $133. With Rocksbox pricing, it’s $102. *The pearl bracelet in the images is my own. I added it for photo styling purposes. 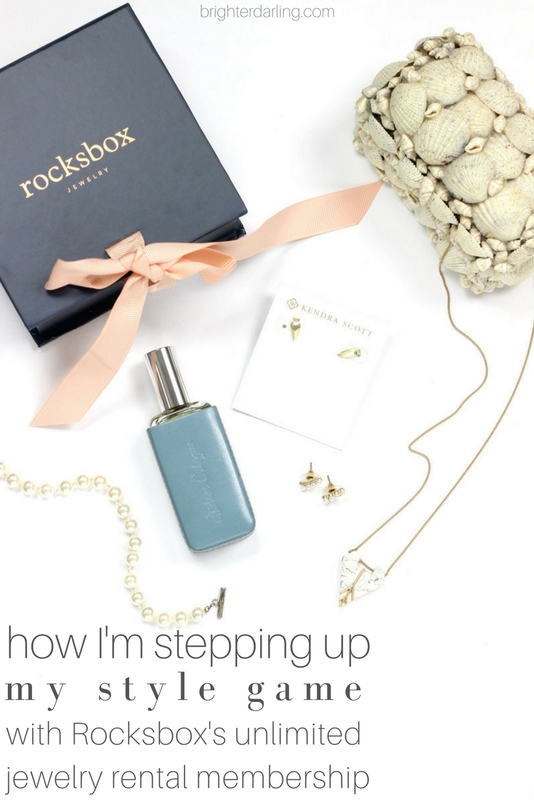 What did you think of my Rocksbox review? If you’ve tried the membership before, what was your experience? I’d love to hear your thoughts since this is my first time testing it out. Leave your comments below and share this post on social media if you found it helpful or interesting. I greatly appreciate your support! "Allure Beauty Box September 2016 Review"
"How To Curl Long Hair With A Flat Iron"